“Black house exteriors have come into fashion at what seems like an almost astonishing speed. Pinterest reports that saves for black houses have grown 774 percent since spring 2014, significantly spiking in March of this year (possibly tied to a New York Times story that appeared on March 7). And people are not just dreaming of black houses. Thus far in 2018, Tricorn Black, a deep, saturated ebony that is perennially one of the company’s most popular blacks, is the 12th most popular paint sold by Sherwin-Williams in the U.S., up from the 33rd spot in 2017. Um maybe. But I really don’t see many owners of New England shingle homes deciding to stain them black. Do you? I know, you’re still cleaning up after the run of recent storms, with another one headed our way, but the clocks have gone forward and maybe we can start thinking of spring. Here is Bob Vila’s spring home maintenance checklist for both the exterior and interior of the house as well as outdoors. National Grid has published a helpful guide to electrical safety before, during and after a storm: click on the link to download a copy. Generator and carbon monoxide safety. Extreme weather conditions and your health. General safety tips following a major storm. Appliance safety after a flood. Record high last Friday, record low this weekend – don’t you love New England? The message is loud and clear: it is time to get your house – and yourself – ready for winter’s onset. Here is an excellent guide originally published in Boston Patch. Make sure your plumbing pipes are protected. Pipes freeze under three common scenarios: quick temperature drops, poor insulation and thermostats that are set too low. Check the insulation of pipes in your home’s crawl spaces and the attic, because they’re the most susceptible when temperatures plummet. Wrap pipes in heat tape or thermostatically controlled heat cables, but be sure they’re approved by an independent testing organization, such as Underwriters Laboratories Inc.
Use caulk or insulation to seal leaks that allow cold air to flow inside near plumbing pipes. Pay particular attention to leaks around electrical wiring, dryer vents and the pipes themselves. Disconnect hoses from each spigot on the outside of your house. Drain and store them. Use an indoor valve to shut off and drain water from pipes leading to outside faucets. This will reduce the chance the short span of pipe just inside the house will freeze. In extreme cold, you may be able prevent your pipes from freezing by allowing a trickle of warm water to drip overnight, preferably from a faucet on an outside wall. Leave your thermostat at the same temperature, day and night. Your routine may be to turn the heat down when you go to bed, but when the temperature plummets, which often occurs overnight, your pipes could freeze. Better to have a higher heating bill than costly repairs necessary when pipes freeze and burst. If you will be going away during cold weather, leave the heat on in your home, set to a temperature no lower than 55 degrees Fahrenheit. Another idea is to turn off the main water valve before you leave home, even if you’re going to be gone only for a weekend. Make sure your furnace has been serviced to ensure it is running efficiently and safely. Install a carbon monoxide detector and water heater, especially since they could be running on overdrive in freezing temperatures. If you have a wood-burning fireplace, make sure the chimney is cleaned and the chimney cap is in place. Have plenty of matches, candles and flashlights on hand in case the power goes out. If you have a wood-burning fireplace or stove, make sure you have some cut firewood ready in case of an emergency. A few extra gallons of water. Non-perishable food items for you and your pets. Lots of blankets, sleeping bags and comforters. Have you located the windshield scraper and brush? Find them before you need them. Keep your gas tank at least half full during extreme cold situation, so you can stay warm if you become stranded. 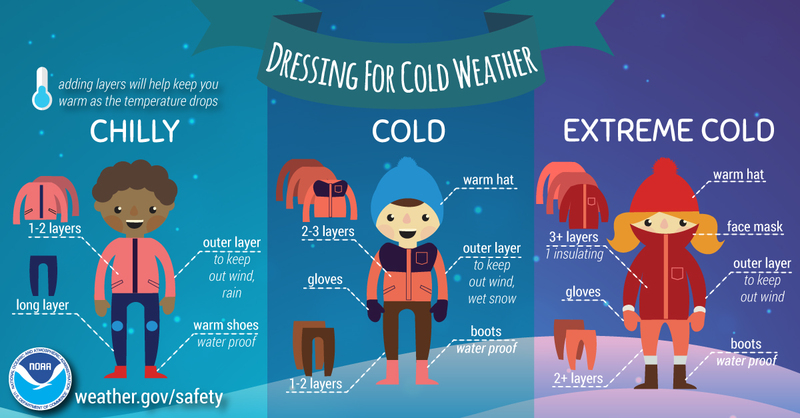 Dress for the extreme cold, even if you don’t think you’ll be out much. Definitely include jumper cables, but you may want to include flares or reflective triangle as well. First-aid kit, including necessary medications, baby formula and diapers if you have a small child. Non-perishable food items such as canned food (don’t forget a can opener) and protein-rich foods like nuts and energy bars. If you travel with pets, make sure to include food for them, too. Water — at least a gallon of water per person a day for at least three days. Basic toolkit with pliers, wrench and screwdriver. Cat litter or sand for better tire traction. Extra gloves, hats, sturdy boots, jacket and extra change of clothes for the cold. Are you considering selling your home? If so please contact me on 617.834.8205 or Andrew.Oliver@SothebysRealty.com for a free market analysis and explanation of the outstanding marketing program I offer. When listing your house for sale there are many small projects you can do to ensure that the house sells for the best price possible. Here is the section on protecting pipes from my Get ready for winter NOW post of a week or so ago. I’ve just turned on the facets in my house in sinks on outside walls. Just over a year ago I published Solar panels – are they right for you?, with a not very positive comment based largely upon their appearance. England’s Daily Telegraph has published this list of Chores that only need to be done once a year. The list of nine tasks has been compiled by Good Housekeeping Institute domestic gurus, who say they only need to be performed every 12 months. 2,3,5 and 9 ring a bell with me. What about you?